Extreme Rules is finally over. In a few weeks, the fine details of this buffer PPV will be completely eclipsed by the build to WWE’s biggest summer event. However, given many of the results of Extreme Rules, we can speculate as to what WWE will do to ramp up for one of “the big four” PPVs. I unfortunately think that we’ll get a lot of rematches for the tag team and midcard titles, but the world title scenes should provide fresh matchups for the Barclays Center in Brooklyn. Without further ado, here are my predictions for all the championship matches on this year’s SummerSlam card. The Universal Championship match seemed rather predictable before Extreme Rules. I certainly thought that Roman Reigns vs. Brock Lesnar would once again main event a major PPV, and either Reigns would come out with the win, or Braun Strowman would win via cash-in. However, since Bobby Lashley defeated Reigns at Extreme Rules, he should now be cemented into the title picture. A triple threat match means that either Reigns or Lashley can take the fall when it comes down to it. Although it makes zero sense, I imagine that WWE will continue to protect Lesnar for an eventual return even if he’s not staying with the company currently. And let’s not forget that last SummerSlam we all thought Lesnar was on his way out and would drop the title in a fatal four way, but he ended up holding onto it. Anyway this match is booked, I think that a Strowman cash-in is imminent at SummerSlam. Randy Orton just returned at Extreme Rules and surprisingly stepped on Jeff Hardy’s nuts. If anything, taking out Jeff Hardy brings Randy Orton back to the heel side of things. A heel turn for Orton would be a welcome change considering that he’s quite a boring sight as a face. 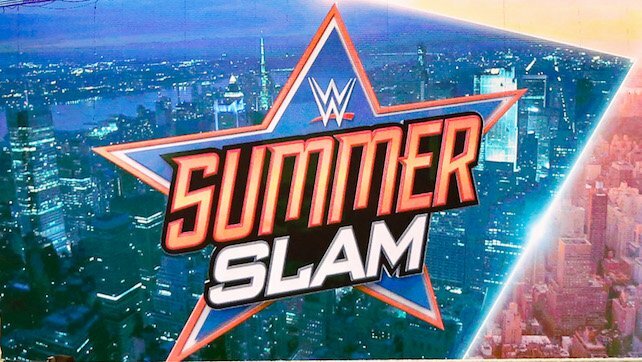 It depends on the condition of Jeff Hardy, but maybe after a match or two with Hardy, Orton can set his sights on the WWE Championship at SummerSlam. AJ Styles is on a long face run, and has just defeated Rusev to retain his title. It doesn’t seem that Smackdown has any heels that are currently at that level though. The Miz could be, but he’s been booked rather weak as of late and Shinsuke Nakamura is busy with the US title. Therefore, a heel Randy Orton could be a great foil to AJ Styles at SummerSlam. They’ve squared off once on live TV before, and if that match was any indication, this would be an exceptional feud with Orton as the heel.